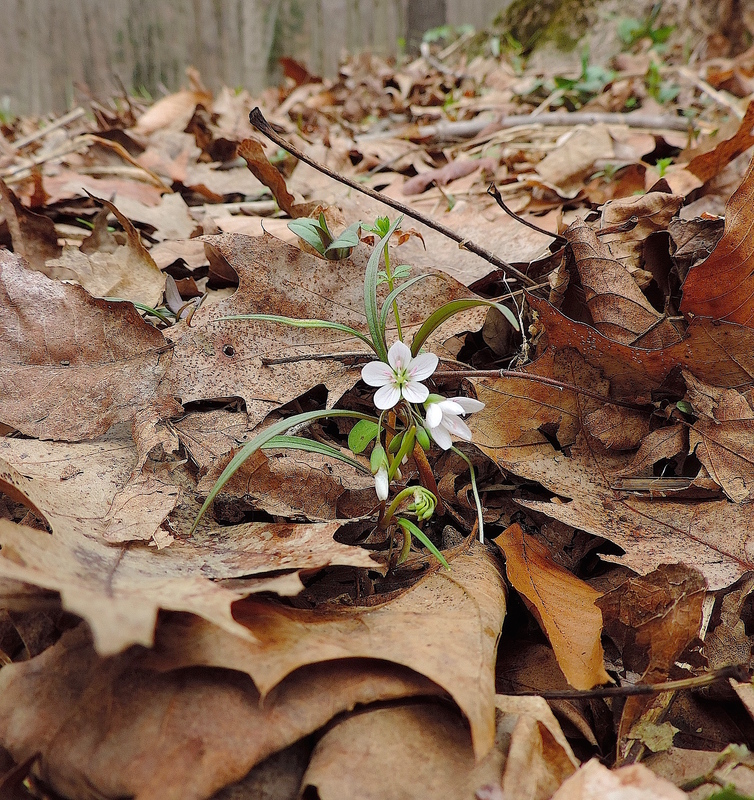 Here we have spring beauty (Claytonia virginica) in flower, so eloquently striking a pose for the camera in the woods of Western Pennsylvania. Wherever it’s abundant, spring beauty is an excellent wild edible food. Its roots will provide the most calories, and the aerial portion can be eaten as well. Another species of spring beauty here in Pennsylvania is C. caroliniana, whose leaves, which taper to a petiole, are generally not as long and narrow as the leaves of C. virginica. Beautiful, isn’t it? Have you seen any wildflowers today?